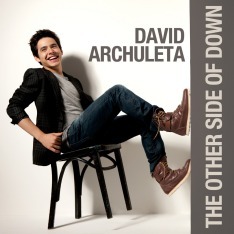 I will be going to see David in concert in Tampa on July 31.Yea And to AC NJ n August 22. August 22 I have upgrade passes. This will be the very first time that I will get to meet David in person. I am so happy, but scared too. I have never met anyone before. So we will see how it goes. This Post has earned 3 Buzzes. Wow! That’s great news. Seeing David twice, your summer will be awesome! I have seen and met him a few times and each time I stand next to him, the glow on his face warms my heart. He is a true and rare human being. Have lots of fun and tell us all about it when you can compose yourself. That’s great! Sheryl, Sandra and I will see you there!! I know a few more poeple are meeting there. Oh My Gosh!! I am so excited, I can’t wait. I got VIP tickets to this venue. It’s interesting because Tampa is where I first saw David when he was on AI Tour. Since then I’ve seen him in Gainesville and Daytona. I still can’t get enough. I brought 7 tickets for Tampa. I didn’t get vips because it would have been to much money. I am taking my 3 daughters and 2 grand daughters + a friend. We will be on the floor row 27. I hope that they are good seats. I brought them shirts to wear. I was at that AL concert in Tamp. We were so far up and I didn’t like that. So I hope these seats are much better.